Artists can only get better by practicing. One method to practice is to do at least one new sketch every day. Try out different styles, look at the work from your favorite artists and explore their techniques and incorporate them into your art as you try to discover your own style. 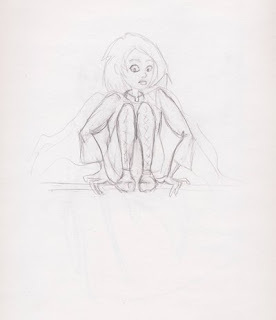 Here are some sketches I drew with the intention of inking and coloring them in Photoshop later. 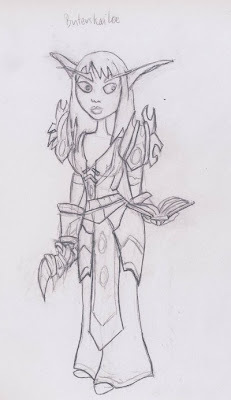 This is a sketch I did of my husband's Night Elf Druid character in World of Warcraft. She is a healer and has full PVP (player-versus player) gear on with a book in one hand and a wicked-looking dagger in the other. His account was inactive when I made this sketch so I used a picture from the Armory as reference for the details in the armor. 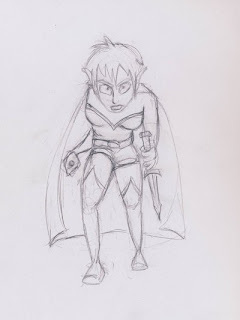 This is an Elf Rogue of my own design, not a character from a game or book. Apparently she is a left-handed backstabber. This is another sketch I did with the intention of digitally inking and coloring it. 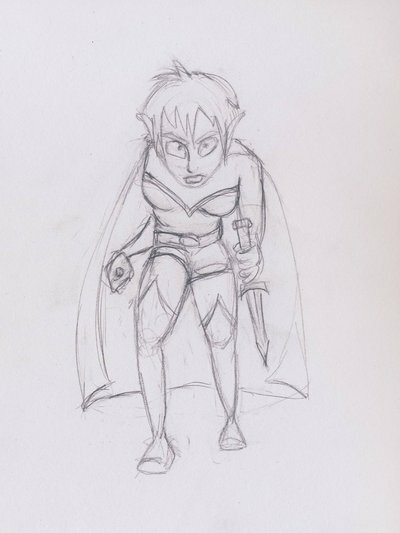 Here is a sketch I definitely intended to ink in Photoshop so I didn't try to make it detailed or fix lines; I am still not sure how I want to detail the clothing, and I would like to experiment with a more fierce expression. She is based on Vin from the Mistborn Trilogy books by Brandon Sanderson.